It was not until I had lunch at Monsieur L a few days ago that I discovered it was Taipei Restaurant Week. Well, Taipei Restaurant Week and a few days, technically, since it goes from August 29- September 11. 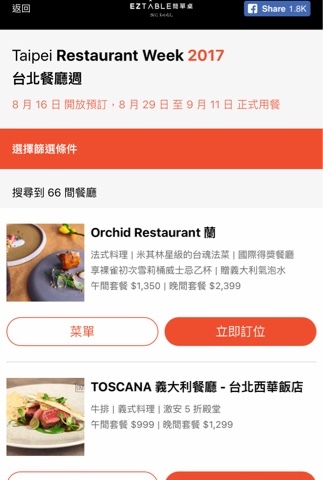 Taipei Restaurant Week sometimes can be a good deal (at least when I tried it the dineLA version in LA) when restaurants offer up a set menu usually more affordable than the sum of its parts. 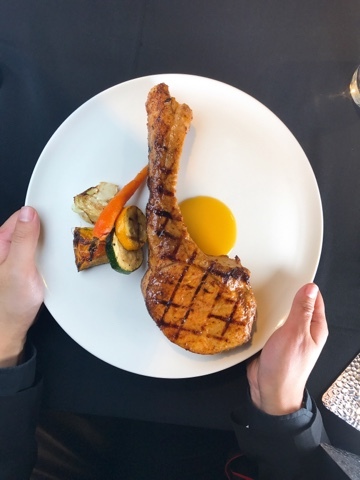 The set at Monsieur L definitely is worth trying with the three course menu at NT$999 that has a HUGE pork tomahawk as an option. 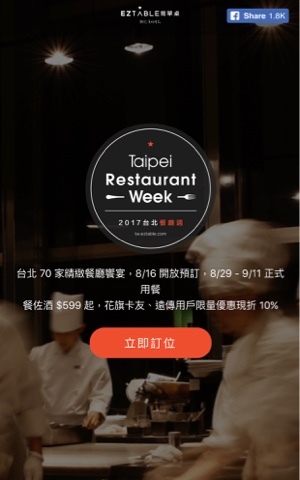 Taipei Restaurant Week is organized by EZTable, so the reservations can be booked through them and you can also check out the menus for each restaurant. While some of the restaurant names aren't in English, the menus all have both Chinese and English on them. I haven't tried booking through EZ table yet, but there's quite a few restaurants I haven't been to yet that are now on my radar. And so many restaurants that I _have_ been to to blog about. This is by far one of the best places to hang with friends, have great drinks (amazing beer selection), eat some great food, including the great lunch I had at Seattle venues. Prices are very reasonable and the pizza was awesome.